1725 Casanova was created by Gerard Ghislain and includes notes of bergamot, citrus, grapefruit, licorice, lavender, star anise, vanilla, almond, sandalwood, cedar and amber. 1725 starts out with citrus and lavender, bracing and fresh. The opening is probably the most masculine moment of this perfume, because the later development is anything but what you would expect from something labeled lavender fougére. 1725 soon morphs into a spicy heart dominated by licorice and anise and then on to a delectable gourmand base where almond reigns supreme gilded with lovely accents of sandalwood and ambery vanilla. 1725 is quite airy and light, despite the notes sounding heavy and opaque, the perfume is definitely not. It has a shy sillage and lasts about four to five hours on me. I am reminded of By Kilian A Taste Of Heaven and also a little bit of a 1000Flowers Réglisse Noire version sans lavender. I find 1725 very interesting and easy to wear and I wouldn’t mind smelling this on myself just as much as on my husband. So has this anything at all to do with Casanova? 1725 sounds nice, but I'll stick to my Fracas! This entry was posted in Floral, Fragrance Reviews, Gourmand, Heliotrope, Histoires de Parfums, Lavender and tagged Almond, Anise, Casanova, Fragrance, Gerard Ghislain, Gourmand, Histoires de Parfums, Lavender, Perfume, Review. Bookmark the permalink. Bal a Versailles is just perfect for Casanova, Grand and Opulent with a lot of skank. 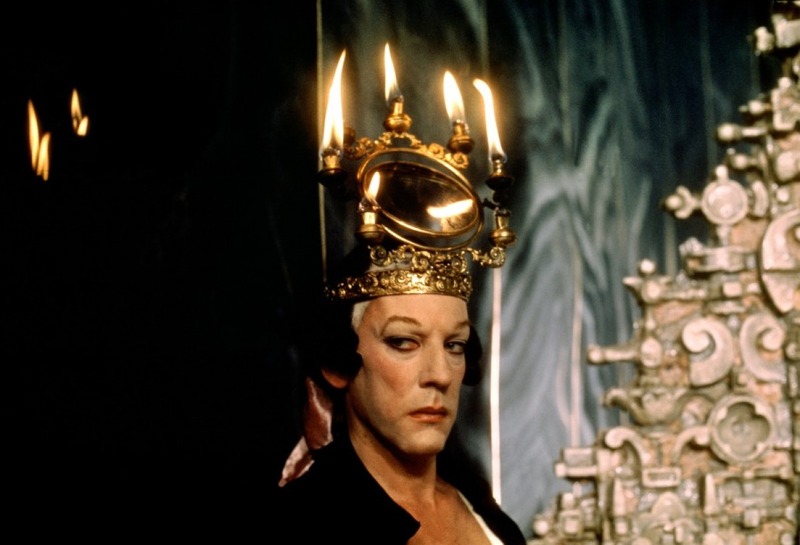 ( Great photo of Donald Sutherland from Fellini’s Casanova BTW ). Musc Koublai Khan => Casanova ? This one may be something you might like, I think. That’s Donald Sutherland – good grief I didn’t recognise him! And yes – Bal a Versailles all the way for that image. A citrus/lavendar opening is never going to grab my interest, but the base sounds intriguing. You haven’t convinced me to try 1725, but you have convinced me to check out Reglisse Noire as the non-lavendar version. Reglisse Noire is a really lovely licorice gourmand. I didn’t recognise him either although his son is now the double image of him in the photo. As a rule, I seem to like the named ones of Histoires de Parfums more, than the year collection. Library workers have to stick together. 🙂 However, I hesitate to vouch for his skills as such– could be he was constantly under reprimand for texting his girlfriends, or sleeping when he should be shelving, etc…. I’d say that is highly likely, given his propensity for a busy nightlife. On the other hand, I bet he was extremely charming with his female clientele… and if his boss was a woman, he was Employee of the Month fairly regularly, I’m sure. My comment got swallowed! Was just saying that although this contains 4 notes I often have issues with (grapefruit, anise, licorice & almond), I do like A Taste of Heaven and have no doubts it’s well done if you think it’s good. I’m getting to know this line through you, which is great. I think old Casanova looks rather camp in that pic, to say the least. Fracas is definitely a better fit! Hmmm… Well, I love ATOH, so this is a must try! Although this fragrance didn’t do much for me, I loved your post! Love thinking about Casanova wearing Bal a Versailles or Fracas … genius choices for him, Birgit!!!! Thank you. 🙂 I think 1725 smells nice, but nothing about it says Casanova. I don’t care for licorice or lavender, so as far as I recall this wasn’t a hit with me. But I quite agree with the excellent suggestion to put Casanova in Bal a Versailles, which – most atypically – I own and like! That is indeed extremely untypical!!! How and why did you even try it? I love such seemingly contrary perfume loves, they make this whole game so much fun! I love your choices too Birgit but today I’m wearing Ambre Russe and think that would do for him also. I would put him in Mandragore by Annick Goutal….spicy and exotic, made from the Mandrake root! I could see him in Fracas or Bandit. I like the kind of sunny, androgynous man represented by Habit Rouge, myself. I like how you characterize the Habit Rouge man, Joan. Yup, you’re exactly right about Casanova’s fragrance choices. This one sounds interesting, but I’d probably go for A Taste of Heaven first. I really need to get into the Histoires line more so. They all seem to have that light airy quality about them, and despite the rave reviews many give them, I have yet to be initially impressed. I think I need to try harder! The Editions Rare appeal to me much more though, but they are difficult to sample. For some reason this is a line that can be dismissed easily, I did so myself for quite some time. But I’m glad I took a closer look and ordered some samples. Ok, you had me at Réglisse Noir. These Histoires de Parfumses have a habit of not being what you expect – I do like my liquorice and lavender together so I will definitely seek this one out. Thanks for the heads up! That is true. and the numbers don’t guide your expectations at all, because when I see 1725 there is a blank and no olfactory association. That is a good thing on one hand, but also makes it easy to dismiss the whole line too quickly. Definitely, the numbers really don’t tell you much at all, which is a shame because what I have tried from the line has been above average.